I treated myself to this book for the Christmas break as a change from my usual knitting holiday! 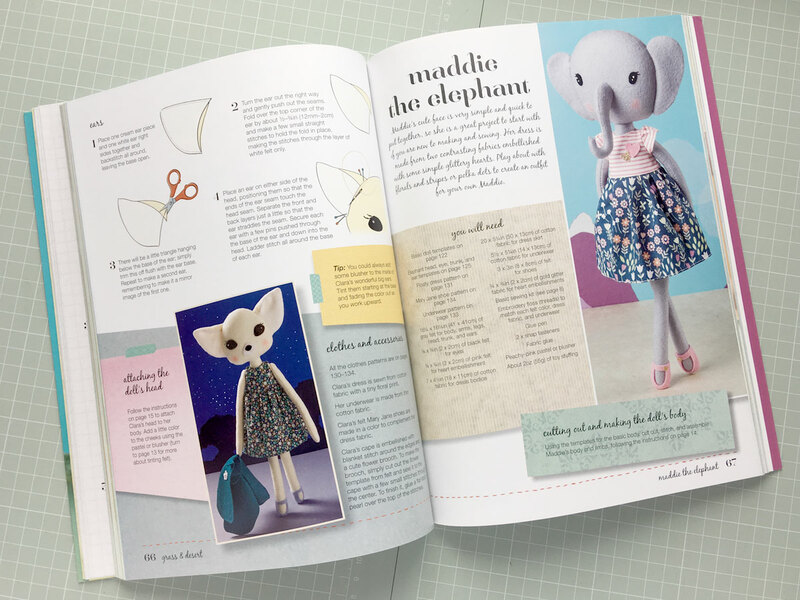 This is Louise Kelly’s second book, following on from “Sew Your Own Dolls”, and it features an exciting range of dressable animals with interchangeable outfits and accessories. The four chapters, based on different animal habitats, include traditional favourites like Florence the Cat and Juniper the Bunny, and more unusual characters like Abbi the Sloth and Clara the Fennec Fox. Most of the toys are made with the same basic body patterns, and each have their own pattern templates for their heads. Louise has cleverly used applied felt shapes to create the features and markings, and the lovely sparkling dark eyes are simple to stitch following her directions. 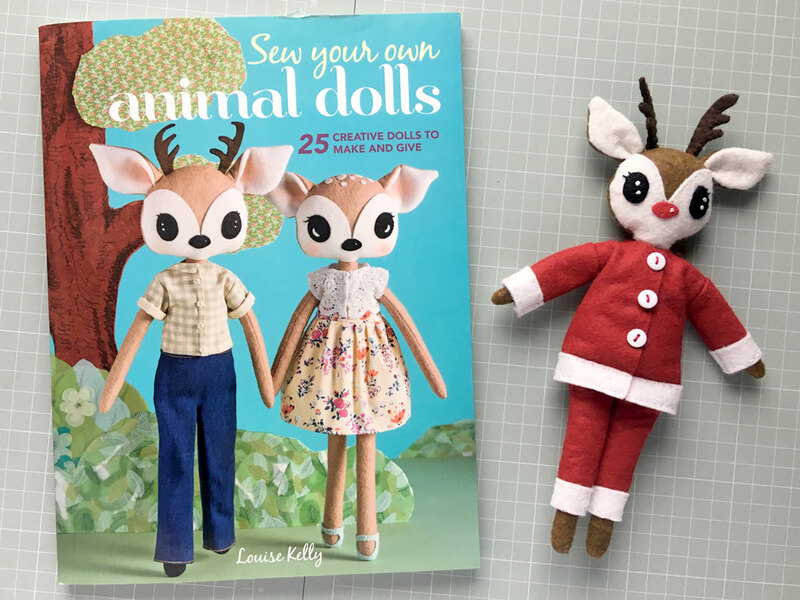 There’s a comprehensive introduction covering materials and tools, techniques and stitches, followed by directions to make the basic body and clothes, and the individual instructions for each animal. The templates need to be enlarged 200% to make the full-size patterns, but I decided to make a mini version, and traced them straight from the book. I adapted Oisin the Stag by adding a seasonal outfit and a red nose! This was fun but fiddly so I’d recommend making the animals in the intended size! 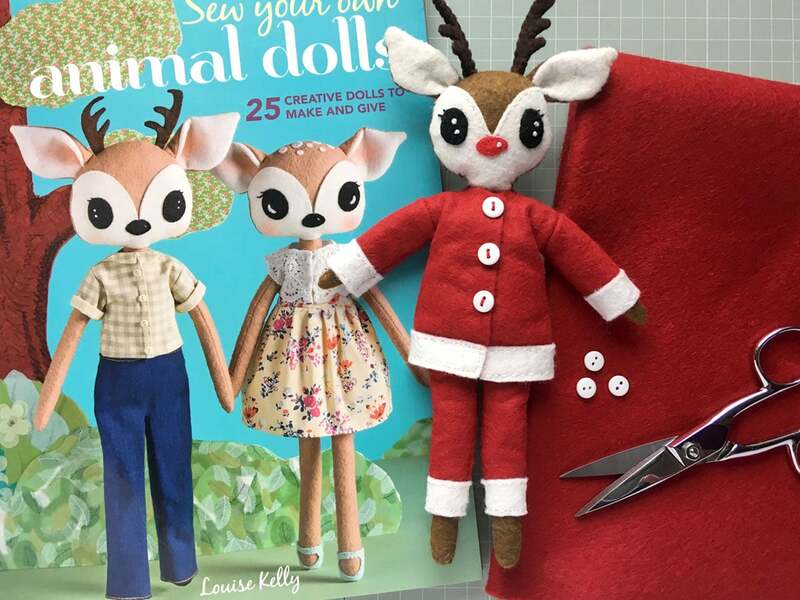 I enjoyed stitching my little reindeer and am really impressed with the book. It teaches everything a beginner would need but the designs are interesting and detailed enough to please a more practiced toymaker. Louise obviously loves animals of all kinds and conveys her enthusiasm with warmth and charm. 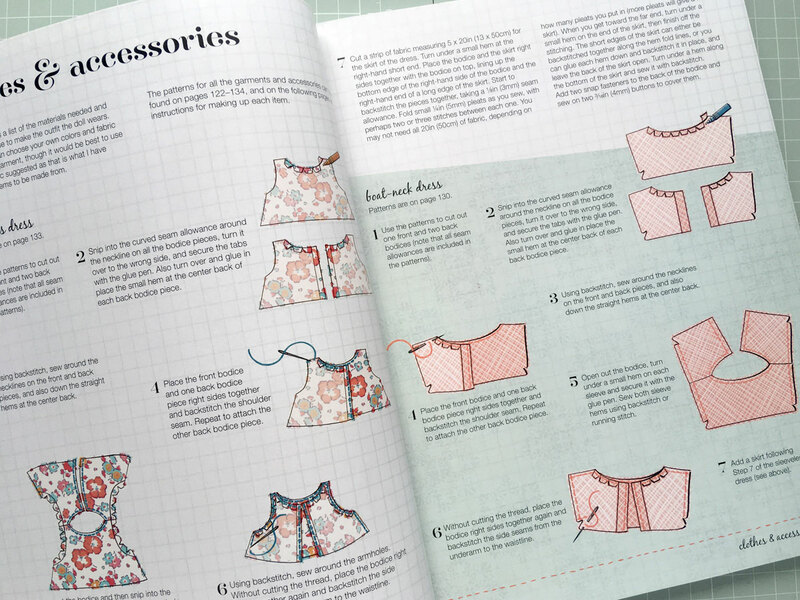 Her book would be great to use when teaching a child to sew.